Commenting on today’s decision by the Bank of England’s Monetary Policy Committee to raise interest rates by a quarter of a percentage point, StepChange Debt Charity urges policymakers to keep a close eye on the impact of higher rates on debt servicing costs, as even small changes can tip financially precarious households into difficulty. Latest data from the Financial Conduct Authority (FCA) shows that 34% of total outstanding mortgage debt (by value) is held on variable rates – with the proportion of mortgage borrowers who have variable rate mortgages likely to be even higher than this. The FCA data shows that the average rate currently being paid by a variable rate mortgage holder is 2.9%. If this rose by a quarter of a percentage point to 3.15%, a mortgage holder with a £150,000 repayment mortgage would pay around £20 a month more. 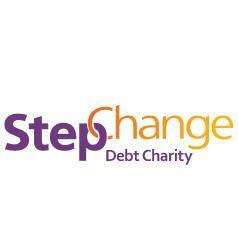 Among those StepChange clients with a mortgage, a £23 a month increase would mean around 1 in 10 could no longer have a balanced budget or a monthly surplus, and would be pushed into a negative budget with more money going out than coming in.